A GoPro or similar action camera is great for action videos, but a 360 camera is even better. Here’s why. GoPro cameras are great for capturing action videos not only because of their rugged housing but also because they have a very wide field of view, enabling a GoPro to capture video that looks like it was being shot by another person who’s following the shooter. 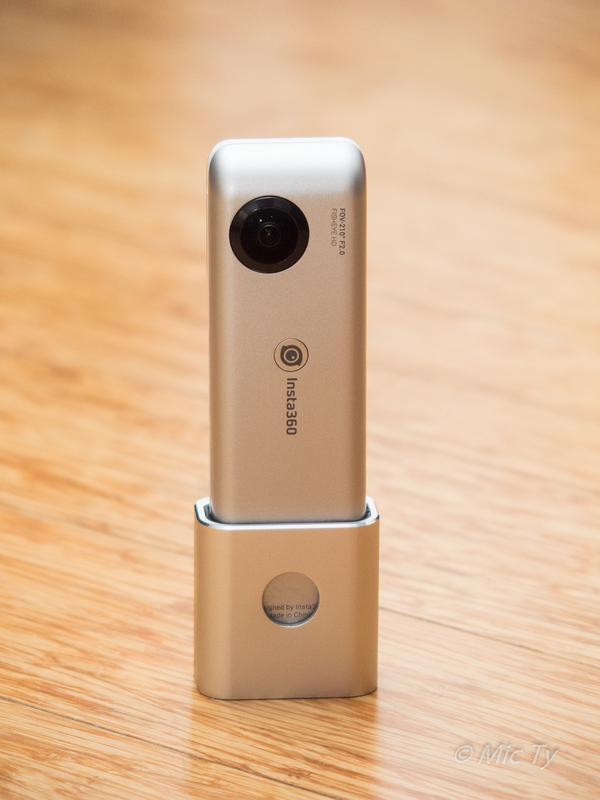 The Insta360 Nano, an inexpensive 360 camera with 3k video. In that regard, a 360 camera has a much larger field of view than a GoPro or any action camera. This means that even if you don’t want to use 360 video, a 360 camera can be used as a super wide angle camera that can look even more like it was taken by another person. In addition, the 360 video can be manipulated to show angles that are impossible on anything but a 360 camera. Finally, if the 360 camera is positioned in the same axis as the selfie stick, the selfie stick disappears from the shot. After shooting the video with an Insta360 Nano, I loaded the footage in Insta360 Studio, a free 360 desktop editor that can, among other things, convert a 360 video into a non-360 video. During the conversion process, it gives you control over the perspective that is presented in the non-360 video. See this tutorial by Life in 360. How about you? Are you a GoPro user who has tried using a 360 camera? If so, what did you think about a 360 camera’s usage for action videos? Let me know in the comments!